Heroes for Moms is a national platform for blood drive events focused on saving the lives of moms who need blood to survive childbirth. These blood drives save lives and raise awareness of pregnancy conditions that may cause hemorrhaging, including placenta accreta and uterine atony. 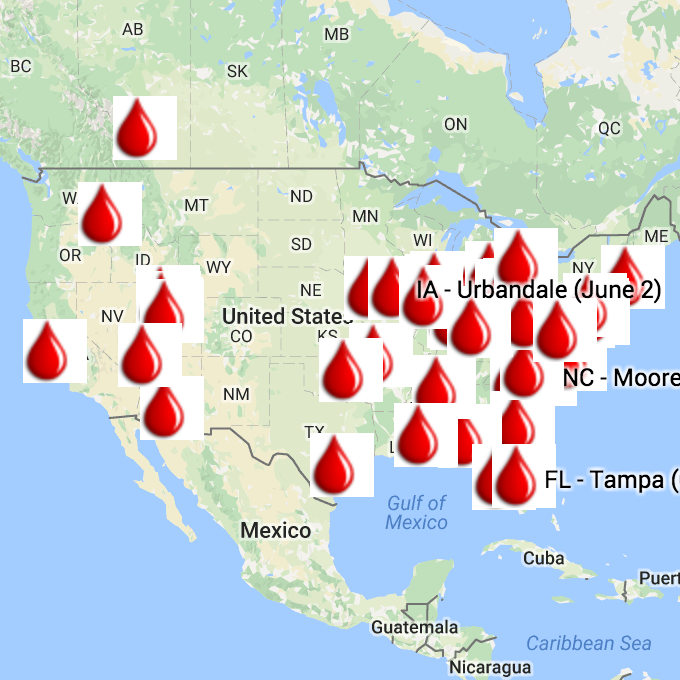 These events are organized by moms and survivors, who survived in part by blood transfusions after giving birth, and supported by organizations advocating for maternal health education and awareness. Survivors are in attendance to share their personal stories of why blood donations are so important and to thank those who give the gift of life. Help women (and other members of the community) be prepared with the blood products they might need. Hemorrhaging is a major cause of maternal mortality and rates of obstetric blood product transfusion have increased by 33% since 20011. The need for blood is constant and it must be ready when mothers need it. Raise awareness of life-threatening pregnancy complications that can cause catastrophic hemorrhaging and frequently requires a blood transfusion to save the mother’s life. Atony of the uterus causes up to 90 percent of postpartum hemorrhage cases. Placenta Accreta impacts 1 in every 272 pregnancies2 and the rates are rising in parallel to the rates of cesarean births. Highlight the need to improve maternal-child health. With the rising maternal mortality and morbidity rates in the U.S., maternal health programs must be available to support mothers today. The rate of maternal mortality in the U.S. has more than doubled in the past few decades3 and postpartum hemorrhage is the leading cause of maternal mortality4. It is vital that mothers receive necessary health care and support before and after childbirth. Many organizations serve as a resource and inspiration to help women improve their health, focus on self-care, and pursue family wellness. Blood drive ambassadors partner with local organizations and include them at their blood drives to share their resources. Support local mothers in need. Blood drive ambassadors partner with local organizations and blood drives serve as a collection site for food, diapers, and baby and toddler clothing for mothers and families in need of these items. Some blood drives also promote in-kind gift programs for the mothers on bed rest at local hospitals.